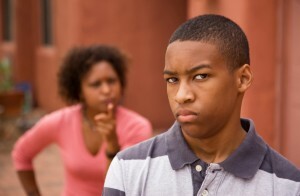 Are you wondering how to win your child's trust in secondary﻿﻿﻿ ﻿﻿﻿school, this blog post seeks help you find ways to do so. We know winning your child trust could be a daunting challenge. It almost feels like fire walking. At this stage, your child is becoming more independent and seek advice from outsiders rather than you. The good news is that you don’t have to face an upcoming challenge with fear. In this post, you will learn how to help your child's trust. 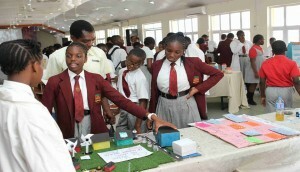 This will also help your child scale through secondary school education successfully. By being prepared, you can alleviate the worry associated with the secondary school period of your child and be better equipped to tackle it. Usually, when one is confused about a situation, it is because of the lack of a road map. Imagine you are travelling to a place without road direction. You will feel confused right? Proper knowledge reduces the ﻿﻿stress and makes you focus on the right thing. After all, there are parents who have done a great job in adequately helping their child through the secondary phase. Firstly, I will take a dive into the life of your child during the secondary school period. This will inform your understanding about how to win your child's trust. So, stay with me as delve into the guide. Secondary school is a different ball game. 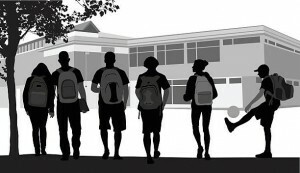 A typical day for a secondary school student will include arriving at school around 7:30 am (either by school bus, public transportation, walking or being dropped off by a parent). Students will then gather for a brief assembly session. During assembly, they are given various instructions which sometimes looks much in the mind of the new secondary school student. Students will then proceed to their class. Bags are left inside individual lockers. For most schools, bags are not allowed in class. Throughout the day, students move from class to class after each period are over. There is usually a short break by 10am after which they resume class again by 10:20am. Students will be expected to work hard and showcase a “﻿﻿do ﻿﻿whatever it takes” mentality when approaching their work. While in preschool and elementary, fun was their work. Now, work has to be fun. They are expected to be more responsible for themselves. In addition, your child will probably make new friends. Friends that can make or ma their future. Secondary school is so big. How do you win your child's trust? You have to communicate! Before, you conclude that you know this already, keep reading. Yes, things are now changing, and your child is maturing. She is no longer a small baby, though as parents, we still always want to have control over our children. While in elementary, you might have commanded them to do something and they followed. Why? Because at that stage, you can’t possibly try to explain everything to them and they probably won’t fully get your explanation anyway. However at this stage, your child is growing into becoming more independent, so even when you want to give instructions on what or what not to do in secondary school, you’ll have to learn how to listen more and talk to them as the adults they are growing into. And while you may speak to your child based on your own secondary school experience, bear in mind that times are changing. So, in helping your child at this stage, communication is very important. Start talking with them more maturely. 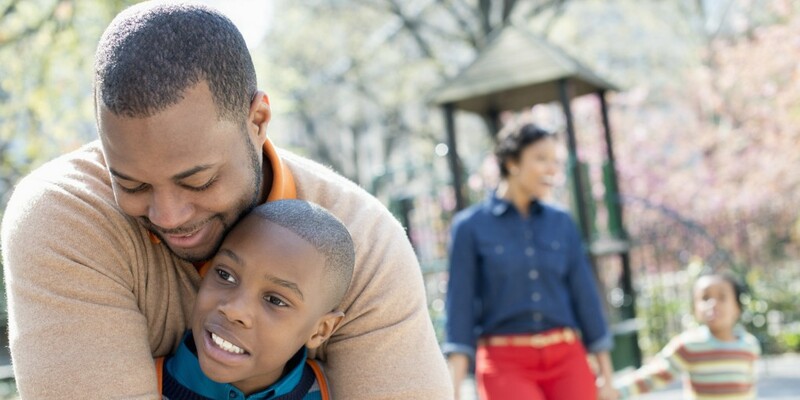 This simple act will help you greatly win your child's trust. Do you want your child to develop confidence and trust in you? People don’t care how much you know until they know how much you care. Don’t rush into giving instruction. After the first day of secondary school, ask them how their day went. Let them share their experiences. Ask questions. If you listen well, you will be able to know what their challenges are. A misunderstanding occurs because one or more of the parties involved do not understand each other. 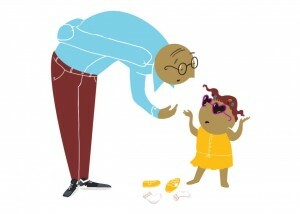 Remember that if you tell your child to do something and she does it, she might just be complying because you said so. It is called eye service. If your child simply complies without wanting to do so, learning has not taken place. Listening makes you know the dominant thought of your child. By the way, people generally like to talk about themselves so, allow your to child talk while you listen. Secondary students needs someone they can trust and confide in, and research shows that it is usually not the parent. Note that if someone out there genuinely listens well to your child, she will gain the person’s trust. Don’t be an advisor. Be a listener. How can you make them independent while realising they are still only 11? Don't tell them what to do, talk through what they might do. It's about respect. This will help you win your child in tremendous ways. It's about recognising that they want to be able to stand on their own two feet, and being there as the safety net when they fall back to you. They want to make their own choices. They have become big boys and girls. Yours is to talk intelligently with them, giving them the information that they need. Let them act based on the information. Don’t believe you know everything about parenting just because you are a parent. Parenting﻿﻿ ﻿﻿is learnt. Educate yourself. There are free resources online. Be well equipped so that when your child ask tough question, you will be ready for it. Let your child find her own sweet spot. Let her leave her life, not the kind of life you will have loved to live when you were their age. Every child have a unique journey. Yours is to guide them through that journey respectfully. It will amaze you how much respect they will have for you when you start respecting their time, person and privacy. You might have been badging into your child’s room before. That changes at this stage. Now, you will have to knock. That is showing that you respect them and that it’s not about you. In a way, parents are a steward for a particular time.They are now becoming adults. Your child is meeting new friends from various background. These friends could be from a different socio-cultural and religious background. Know your child’s friend. Ask your child why she likes her friend. It is a reflection of what she values, after all, like attracts like. Someone said what we become in life is as a result of the friends we keep and the books we read. Another said show me your friends and I will tell you the kind of person you are. At all cost, get a school that embraces well-rounded education. While schools are focused on grooming students for academic excellence, it is important to look for a school that focuses on well-rounded education. 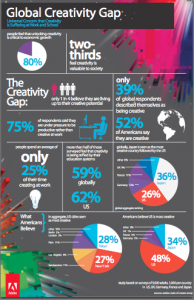 Two-thirds of the world believe that creativity is important for economic growth. Aside from developing academic excellence, look for a school that embraces well-rounded education to furnish students with experiences that nurture aptitude in critical thinking, problem-solving, teamwork, leadership, etc. Furthermore, such school include arts, music, sports, acting, public speaking into their curriculum. This provides an opportunity for children to find their sweet spot or hidden talent. In addition to this, students with well-rounded education are more confident than their contemporaries. Understand that secondary school is a different ball game, and your child's experience will be different form yours. 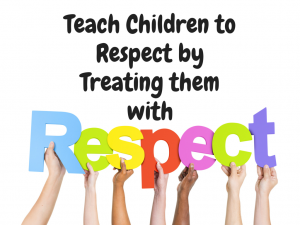 Respect your child and set parental boundaries. It makes them feel confident about themselves, and any confident child can achieve great things. Allow them to make their own choices but guide them. Give them sound information so that they can make an informed decision.